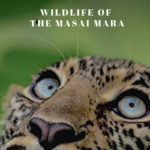 Karnataka State, India: The Bhadra Wildlife Sanctuary (also a Tiger Reserve – BTR) has the highest population of leopard cats in the State, according to a recent report published by wildlife researchers. 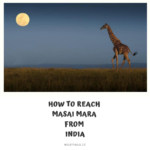 The study, which was carried out across the Western Ghats by a team of researchers from the Wildlife Conservation Society (WCS), India Chapter, has revealed that there are around 10 leopard cats per 100 sq km at the Bhadra, the highest population density in the State. The Biligiri Rangaswamy Temple Tiger Reserve (BRT), which has a leopard cat population of four per 100 sq km, stands second on the list. However, not much data was available from Bandipur and Nagarahole Tiger Reserves. The research paper – Estimating population sizes of leopard cats in the Western Ghats – was published by researchers Arjun Srivathsa, Ravishankar Parameshwaran, Sushma Sharma and Ullas Karanth, director for Science-Asia, WCS. For the purpose of the study, camera traps were installed over 2,075 sq km covering BRT, BTR, Bandipur and Nagarahole Tiger Reserves. In Bhadra, high leopard cat density areas were mostly restricted to secondary forests and coffee plantations outside park boundaries and village relocated sites within the reserve. 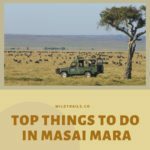 This is significant as these areas also tend to have a higher population of rodents and the presence of leopard cats could help keep the rodent population under control. 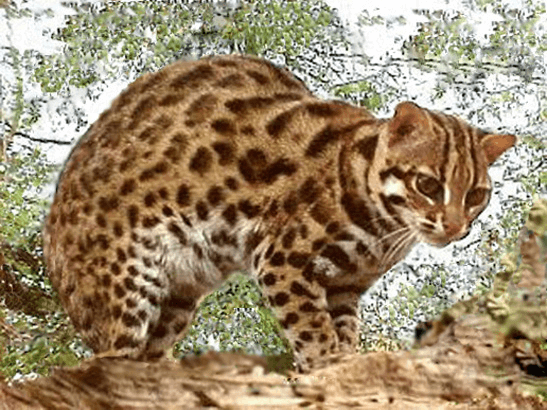 This rare leopard cat species is under threat due to habitat loss, fragmentation, commercial exploitation for their skin and pet trade, among others. When compared to domestic cats, leopard cats are identified by their characteristic dark stripes. Their body is covered in spots, which, like the tiger’s stripes and the leopard’s rosettes, help in individual identification.